I have a new IP Address; world reachable IP courtesy of Comcast. And, I need to put it to use. Since it is a Dynamic IP Address, it might change ever so often. And, so I need to link it to a FQDN that will not change. Once NoIp.com account is created, they sent me an email address to validate liveness. Did so. And, now went forward with adding a new host. Once host is in place, let us go configure our Linux Host. True to form. first attempt at preparing and installation failed. Googled for help on installing gcc on linux host. Out of the Google hits that came up, I think I chose the first few links, but really should have looked further down. I trust cyberciti as I have used them a few times while trying to learn Linux. Like they say on the streets, they have Street Credibility. No Insider trading here, meant to stay Main Street. Only one host [eph-rachel.no-ip.org] is registered to this account. Like Steve Winwood, back in the HighLife again. From a different host, preferably outside of your network, test your new FQDN. We got a good ping, but the IP Address we returned is not the one expected. We are getting the IP Address of our gateway; that was the address being fed to no-ip when we first created the host record. Let us go see if we can correct that. On your Linux host, please go run No-Ip Client. Can't locate configuration file /usr/local/etc/no-ip2.conf. (Try -c). 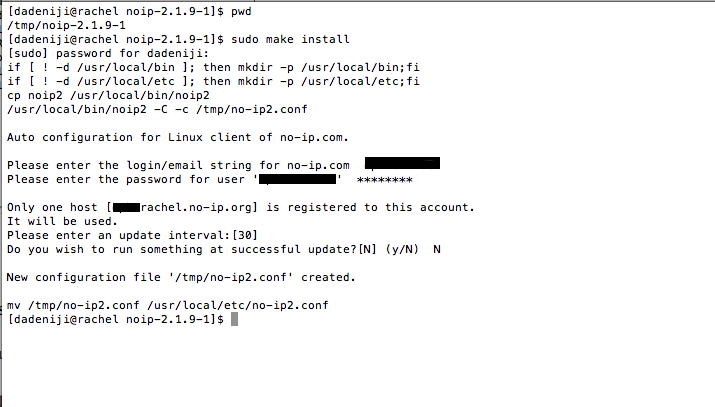 Though the make command’s output lead me to believe that our No-Ip Client is fully configured, that does not appear to be case. Let us again try to configure. Re-run noip, adding '-c configfilename' as a parameter. I really don’t want to specify a configuration file name, as I will like to use the default. let us try validating again. Pinged and I am still getting old IP Address. 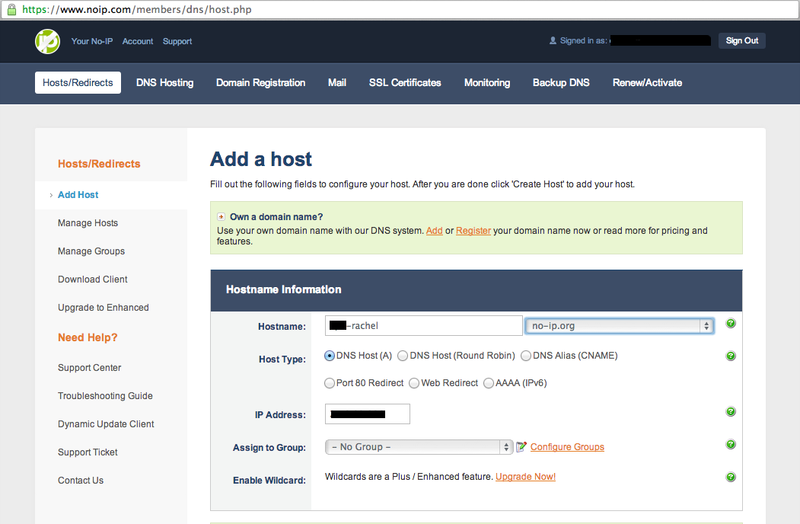 Once you feel comfortable with your DNS Client, please configure it to run on system start-up. I am thinking how do I get this thing to auto-start. If you want it to run automatically when the machine is booted, then place the following script in your startup directory. It may need some modification for your system. There is a startup script for Debian called debian.noip2.sh. It also has been supplied by another user and is rumored to fail in some situations. Another user has supplied a procedure to follow for MAc OS X auto startup. It’s called mac.osx.startup. Mac users may wish to read that file. So it seems we have a version for Debian, Gentoo, and RedHat. As our Linux is CentOS, we will go with RedHAT. echo "Killing process $i ..."
ps -aux 2> /dev/null | grep "noip" | grep -v "grep"
Our NoIP service is running in all pertinent runlevels; those are runlevel 3,4,5.